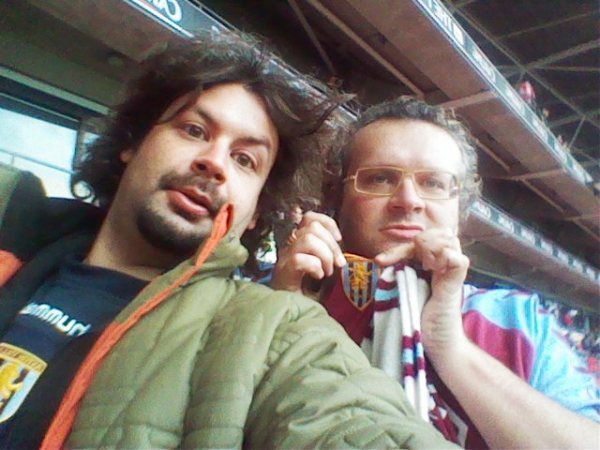 Jonny Gould's Soccermongery: Villa View: Martin O'Neill's now tainted. 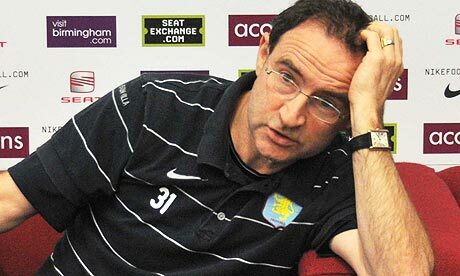 Villa View: Martin O'Neill's now tainted. I thought I'd now be less angry with Martin O'Neill after his sudden resignation at Aston Villa but to walk out five days before the start of a new season marks him out as nothing more than a saloon bar firebrand. When the story emerges as to why he's quit, it'd better not be about lack of available funds. He's spent a mindnumbing £120million at Villa Park over four years! His decision shows scant regard for anyone else but himself. What about his backroom team? the players he nurtured, the fans, the board, the owner? Honestly, if we knew back then how his tenure would end, would we have bothered with him in the first place? At the news conference when he arrived, he talked on a grandiose scale, even dreaming of European glory. We thought we had a strategist, a clear thinker, someone who would use guile and experience to build from bottom up. With John Robertson at his side, even a sprinkling of the Clough and Taylor magic. What a huge disappointment he's turned out then. It's the end of his orchestrated attempt to leave Villa Park because he knew full well he didn't have it in him to keep up with the rest. That he chooses to leave five days before the start of a new season seems designed to cause the club maximum damage. In this interview I did with him at pre-season exactly a year ago, he knew about the club's finances even then. Set to one aside the volatile behaviour of a man with the capacity to walk out of a multi-million pound a year job and the responsibility that goes with it: who will come in as replacement with five days to go? Let's face it; part of a football manager's multi million pound salary is paid on the basis that every job threatens to ruin his reputation and career. Capello must have thought about the eight-figure compensation he'd have received in the uncertain days after England returned home from South Africa. But O'Neill, with less funds than the Big Four, must roll with the punches, manage within his means - and keep his malcontentedness strictly in house. If this is really about selling James Milner and Ashley Young, okay it's very frustrating. But so are three successive sixth placed finishes when Villa looked on course for the Champions League each Christmas. He started destabilising the club last season with public talk of a lack of funds, which precipitated dressing room disquiet, so building a queue of clubs to turn the heads of our best players. It's entirely O'Neill's fault that Milner and Young are transfer targets. If he'd shown a modicum of personal stability, we'd be the team to watch this season. Chairmen of other clubs beware: if you really have a long-term plan to put in place, don't choose O'Neill to manage your football club. I'd also point to the fact tha he had a transfer budget las tyear which he broke and disappointed the board since he could only generate funds from the sale of gardner for 3.5mm in Jan after he brought in Dunne, Collins & Warnock just before the season started. I think perhaps you give O'Neill too much credit, but then grace and mercy are wonderful characteristics, so good for you! [12:35:54] James Cotton: Hey Jonny! Are you recovering any sense of balance in your views on the MON affair?? I agree he's dobbed you in it!! I know he blows very hot and cold, emotionally driven, etc, and it doesn't surprise me he's resigned, regardless of timing for which he gets most roundly and fairly criticised, however I think the bloke will be in high demand, as clearly he's a fantastic motivator....BTW so funny how Sven is now linked to every post available, eg manager wanted at Bushey Social Club, as the first name the press mention and the least likely to actually be offered the job!!! well johnny,youre right mate,120 million given by lerner and still no top four finish.i am a villa fan now the last 34yrs.i am glad o neill is gone,he fielded a weak side in europe last year and we were always gonna be beat.at least our new boss wont opt for heskey every week.o neills style of play and team selection had become predictable and boring,that might suit him if he goes back to the spl hahaha.anyway villa fans stay loyal and celebrate his departure.all this makes me think how well the alan curbishleys,alan pardews and the like did in their respective clubs without being given 120 million to spend.good riddance martin.no more jigs on the hallowed villa turf for you. no matter what the opintion is about O'Neill, the Moscow debacle was unforgivable.